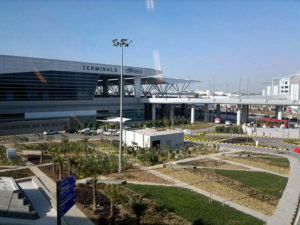 NEW DELHI – An Afghan national was caught at the Delhi airport hiding $490,000 (UGX 1.8 billion) in a microwave oven and ceramics mugs in his luggage. According to a local daily, The Hindustan, India’s Directorate of Revenue Intelligence (DRI) officials said the man admitted having smuggled forex worth $1.04 million thrice in the past. Security suspects the man is part of an organised group. The 22-year-old man was caught on Monday as he arrived at the Indira Gandhi International airport to board a flight to Dubai, United Arab Emirates. Following a tip-off, DRI officials intercepted him inside Terminal 3. The search resulted in the recovery of US dollars concealed in the outer cover of the microwave and in the packaging of the ceramic mugs. Initial investigations revealed the foreign currency was being smuggled out of India as a payment for a gold consignment smuggled in earlier. “The accused admitted having smuggled foreign currency out of India on three previous occasions. He was travelling business class and had come to India on a business visa. He said he got cash from his contact in Delhi,” the officer said. On Tuesday, the DRI arrested another man from Singapore and recovered from him Riyals worth millions of Shillings at the Bangalore airport. “The foreigner was carrying USD, Saudi Riyal and Euros of various denominations. The money was recovered from his checked-in baggage,” he said. This year, customs officials across the giant Asian country have arrested 219 foreign nationals for smuggling gold and foreign currency. The arrested people include nationals from South Asia, East Asia, South-East Asia and also Africa, the DRI said.